ExpORL: Research Group Experimental Oto-rhino-laryngology: Special Olympics! Yesterday, three of our very own ExpORL members volunteered for the Healthy Hearing program, which is part of the 2017 National Games of the Special Olympics Belgium (FB page). They made use of their expertise by screening tenths of participants. If you are interested in volunteering for the next time, don't hesitate to contact the Special Olympics staff! Fantastic experience. 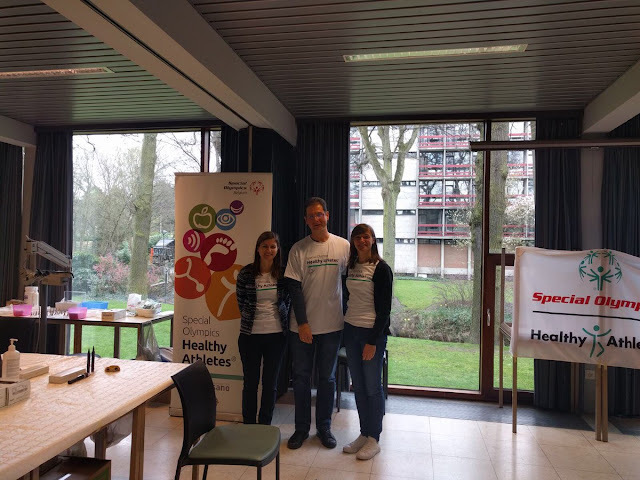 From left to right: Maaike Van Eeckhoutte, Dimitar Spirrov, and Annelies Devesse.